Boasting a top-notch practice facility with a 3-hole practice course, an oversized putting green, a driving range, and a chipping green, Waterview Golf Club has everything you need to improve your game. Our renowned golf teaching program is headed by Carlos Brown, who was named by Golf Digest as one of the "Top 40 Best Young Teachers Under 40 in America." 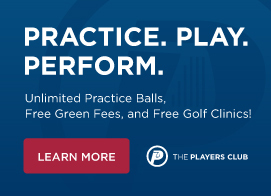 We offer individual and group programs for golfers of all skill levels, from juniors to touring professionals. Surrounded by the scenic pasturelands of northeastern Texas, Waterview Golf Club is the ideal location to advance your skills and connect with other golf aficionados. Waterview Golf Club has facilities for improving every aspect of your game. Tune your swing at our 30-stall driving range. Refine your short game on our elevated chipping green with a bunker and spacious putting green. Then put it all together on our three-hole, par 3 practice course.